Escape to the Texas Gulf Coast, and beyond, at Best Western Plus Seabrook. This welcoming, pet-friendly hotel offers comfortable accommodations and a convenient location near some of Bay Area Houston’s top attractions, such as the Kemah Boardwalk, the Space Center Houston, and the Port of Houston Cruise Terminal. When you’re not exploring the Bay Area, get a workout in at the hotel’s fitness center or sunbathe at the on-site swimming pool. Inside your room, you’ll find everything you need for a relaxing stay, including a flat-screen TV, refrigerator, and a microwave. 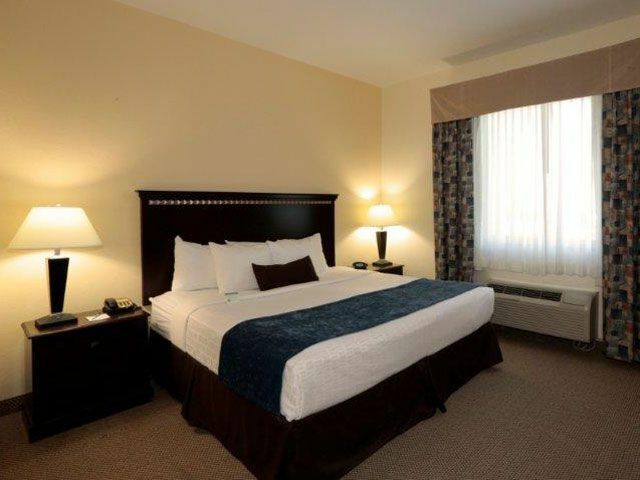 Continue reading to see a full list of amenities at Best Western Plus Seabrook.